potlucks, or just for family dinner! Even though my son graduated last week, we are still busy as ever. We have several graduation parties to attend over the next several weeks, plus we are planning his graduation party at the same time. There is still so much to do! Landscaping to do, food to buy, picture boards to be made...there isn't enough time in the day to get everything done! No matter how busy we are, I still like to make home cooked meals for dinner. Now that the weather is nice I've been turning to my grill almost nightly. Grilling is so simple and there's less clean up, too. 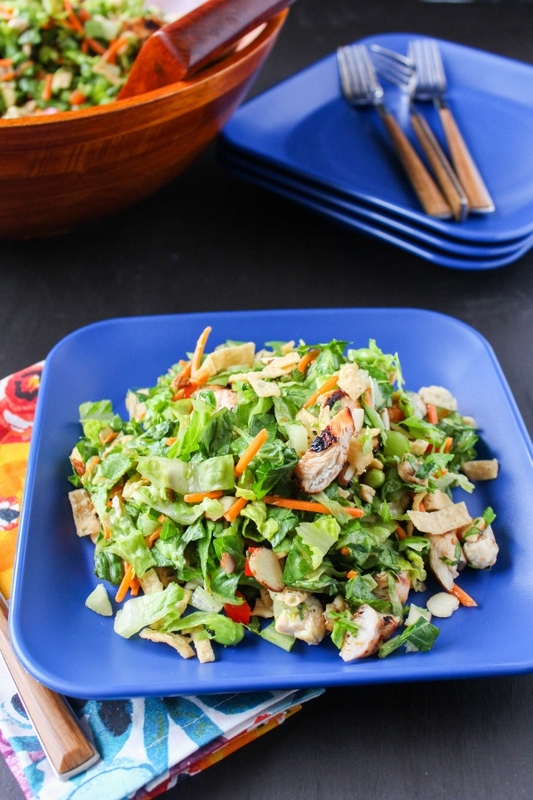 I love creating flavor packed salads that are full of both protein and vegetables. It's an easy way to get the kids to eat their veggies, plus it's essentially a one dish meal. Again, not as much to clean up. Are you noticing a pattern here? Mama loves to cook but cleaning, not so much! 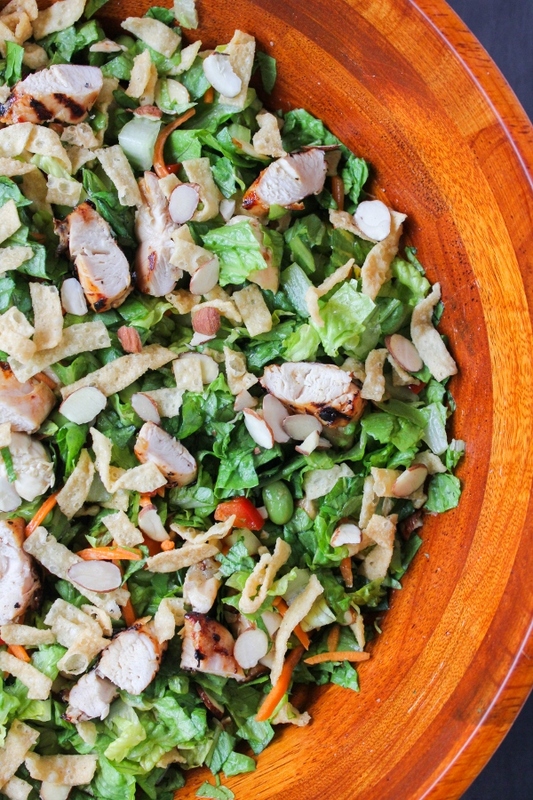 This Sesame Chopped Chicken Salad is full of tender flavorful chicken, red peppers, edamame, carrots, sliced almonds and crispy wonton strips. The chicken is marinated for just 30 minutes in the NEW P.F. 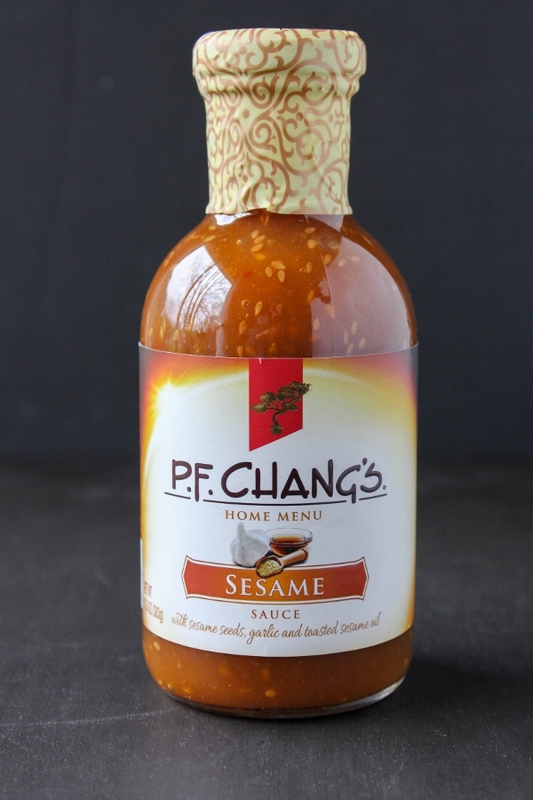 Chang's® Home Menu Sesame Sauce, and the sauce also serves as the dressing. P.F. 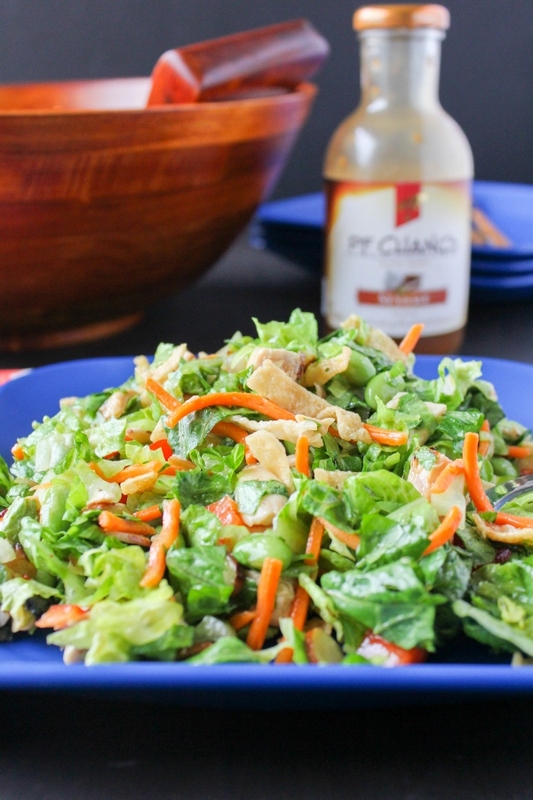 Chang's® sauces​ are convenient and are the simple secret to extraordinary flavor! These sauces are exclusive to Walmart and also come in Teriyaki and Kung Pao varieties. There is also a fun sweepstakes going on where you could win a paid trip to Scottsdale, Arizona, home of the first P.F. Chang's China Bistro, as well as several weekly prizes! 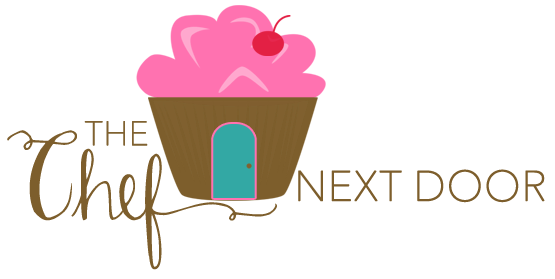 Click here for more information on how to enter the sweepstakes and to find Asian recipe inspiration. I love the simplicity of this incredible tasty salad. 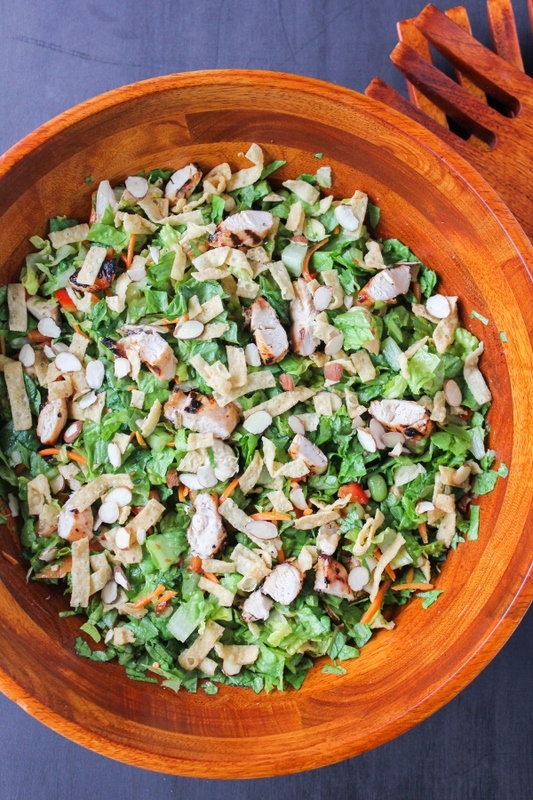 Chop your veggies, grill your chicken, then toss everything in a large bowl. After that just grab your forks and dig in! Place the chicken in a resealable plastic bag and pour 2/3 cup of the sesame sauce over the chicken. Seal and shake the bag so that all the chicken is coated with the sauce. Marinate for 30 minutes. While the chicken is marinating, start assembling the salad. Place the lettuce in a large serving bowl or on a platter. Add the bell pepper, carrots, wonton strips, edamame and sliced almonds and toss gently to combine. Preheat the grill to high. Remove the chicken from the marinade and grill until cooked through, about 5-6 minutes per side. Set the chicken aside and allow it to rest for just a few minutes before dicing. Add the chicken and 1/2 cup of the sesame sauce to the salad and toss to combine. Serve the salad on individual plates and top with additional sauce and wonton strips, if desired. Find the NEW P.F. 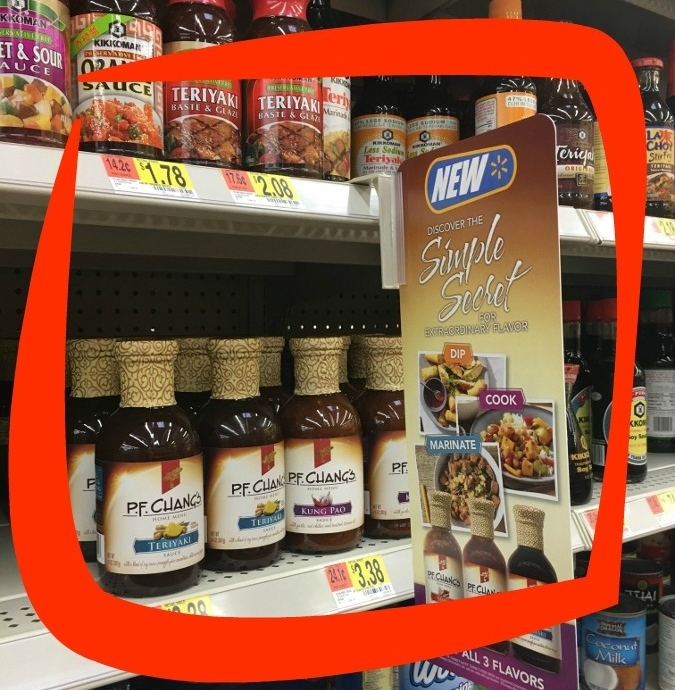 Chang's® Home Menu Sauces in the Asian food aisle at Walmart!